Package purchases are non-refundable. Once purchased, days never expire. May not be exchanged for boarding, daycare, grooming or training services. 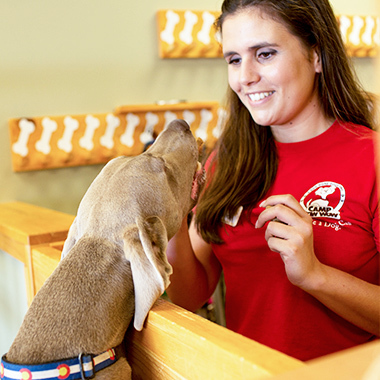 While all of our Campers receive the highest levels of care and attention, if you’d like your pup to have more one-on-one time or participate in other activities such as interactive treat puzzle games or a good ole’ game of fetch, we’re happy to provide it! Our new one-on-one sessions provide added stimulation and customized play during your pup’s stay.